A college education is one of the most expensive purchases most people will make during their lifetime. According to U.S. News & World Report, for the 2018-2019 academic year, the average annual cost of tuition was $9,716 for in-state students at public colleges, $21,629 for out-of-state students at public colleges, and $35,676 for students at private universities. That means that the cost of tuition alone for a four-year education – and not accounting for additional necessary costs such as housing, books, supplies, food, and transportation – ranges from just under $40,000 to more than $140,000. That is a lot of money. Many students are fortunate enough to have their parents pay for college. If their parents started a 529 savings plan when they were a child and saved diligently, by the time they leave home, they may have enough in the bank to cover four years of tuition and expenses. But, if you are now an adult and you find yourself needing to pay for college while also supporting your children; or, if your child is preparing to graduate from high school and you do not have $40,000 (or $140,000) set aside, managing your finances can become much more challenging. This is especially true if you are also preparing to go through a divorce. When you get divorced in California, your divorce can impact your ability to pay your own way through college in three primary ways: (i) any savings you have accumulated may be subject to division as marital property; (ii) you may incur an obligation to pay (or may secure the right to receive) spousal support; and, (iii) you may incur a specific dollar-amount child support obligation. From a legal perspective, this makes sense: A child should not receive less financial support because his or her parent chose to pursue an education – no matter how valiant and altruistic the desire to earn a degree may be. On the other hand, this presents obvious challenges for parents who are seeking to complete their education, and these parents may need to seek out grants, loans, and other forms of financial aid to cover their personal educational expenses. Since parents’ obligation to provide financial support for their children ends at age 18 or 19 in California, in most cases child support payments will not cover a four-year college education. Of course, many parents will want to pay for their children’s education, and this desire will not change by virtue of getting a divorce. However, getting divorced can (for obvious reasons) make it more difficult for parents to share the financial burden of their children’s higher education. For this reason, divorcing parents will often want to make provisions for payment of college tuition and expenses outside of the standard child support calculation. For more information on the options that are available, you can read: How Are College Expenses Handled in a California Divorce? 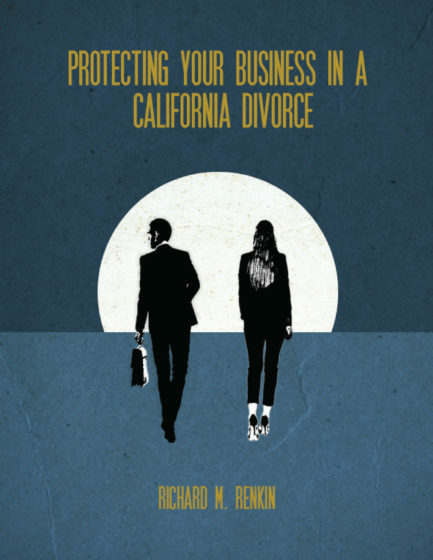 Richard M. Renkin is a North County, CA divorce attorney and Certified Family Law Specialist who has more than 30 years of experience representing divorcing spouses in California. If you are contemplating a divorce and would like more information about your options for covering the cost of higher education, you can call 888-837-3564 or contact us online to request a confidential consultation. Common Reasons to Lose Custody in a California Child Custody Dispute How is a 529 Savings Account Handled in a California Divorce?